I'm stumped. I basically want all the things that a Jeep Grand Cherokee would provide (good looking inside and out, decent towing capacity, lots of room inside, V6, 4x4 optional) but the last thing I want to do is get a car that ends up being unreliable. If it weren't for the reliability issues I'm finding in my research I'd but a Jeep Grand Cherokee in a heartbeat. Everywhere I look it seems I have to choose between a good looking car or a reliable car. The only exception I can find is in buying a pickup which I'm keeping on the table. Any suggestions would be appreciated. If you want something more rugged, but just as reliable, consider a Toyota 4Runner which still comes on a body on frame "truck" chassis. They retain their value because of the reliability reputation though so your money won't go as far as with the Pilot or Highlander. They also are likely to have a bit less space inside due to the construction. 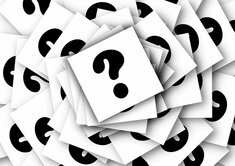 If if you don't mind going bigger, Chevy Tahoe's and GMC Yukon's are pretty reliable as well and can be a great value used. Not as refined on th3 interiors as the Japanese cars, but if there is one thing GM does well, it is trucks and truck bases SUV's. 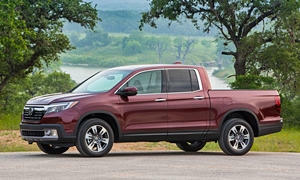 You might also consider a newer Honda Ridgeline which is a bit of a blend of truck and SUV. Dnslater's response was perfect. 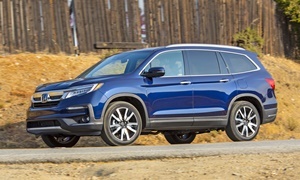 The Honda Pilot, though, has an unreliable 9 speed transmission in the Touring and Elite trims for the 2016s and newer. I wouldn't recommend going with a Tahoe, Suburban, or other truck based cars because they are too big and boxy, not efficient, less comfortable, and too expensive. The only thing they give over unibody SUVs are towing, off road capability, and sometimes a little more space. The 4Runner is truck based, but it is very reliable, good at off roading, and has a decent amount of space without being excessively large like the Tahoe and Suburban. 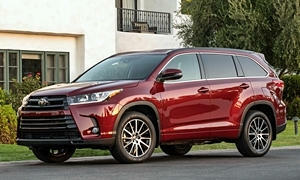 A Toyota Highlander is better if you don't want the larger tow rating or ground clearance. 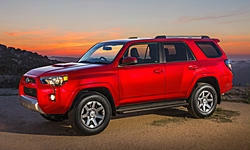 The 4Runner, however, is the closest you can get to a Jeep and still be super reliable. I have owned a 4Runner and it was a great car, but uncomfortable. I know several people with 4Runners and they have loved them and bought more than one. 5,000 lbs should be enough for most people, so I suggest going with the Honda Pilot, Toyota Highlander, or maybe an older Lexus GX (truck based, a 4Runner, but pretty comfortable). The Ridgeline is something you should really check out. It combines the comfort of a car and a bed of a pickup while giving some decent off road capability. It is basically a Pilot with a bed and 5 seats.